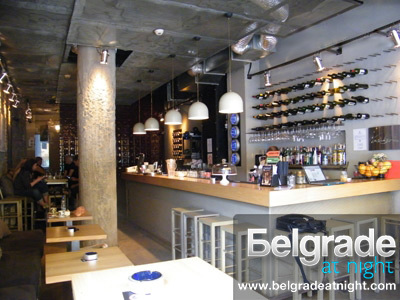 Cafe Drinka is located in the heart of the downtown Belgrade, next to the Serbian Parliament. Kosovska Street recently becomes a cool place among urban youth, gathering for coffee, drinks and hanging out. Usually you can see young, popular artists and actors here, as well as ballerinas. During the summer period the outside sitting area of this café becomes very crowded. People start to gather around 21-22 h. Café Drinka is not just a café. Bartenders also make various cool cocktails. It’s a very cool place to meet urban people from Belgrade. Drop by or call the café and explore this cool spot for yourself.